Jatiluwih Rice Terrace located in Jatiluwih countryside, Penebel Sub -Distric, Tabanan Regency. A famous tourist destination in west part of Bali island featured by beautiful view of rice terrace from the foot of mountain until the coastal side. It is wellknown as one of UNISCO World Heritages site since 26 July 2012 due to the site has been able to maintain the local culture heritage in form of water irrigation system managed traditionally called SUBAK. 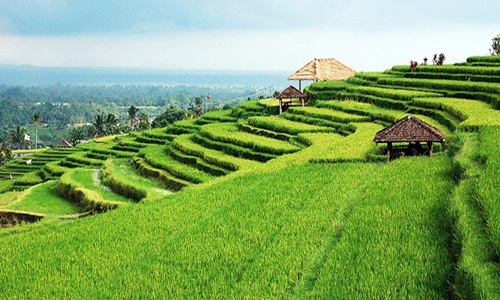 There is 14 Subak on this site and 11 villages consisted of 2,372 ha of rice field, 3,545 ha of garden, 9,316 ha of forest, 317 ha of housing area and 475 ha of wild bush. Jatiluwih is one of recommended places to visit in Bali with the beautiful view as according to its name from JATI and LUWIH, where JATI mean really and LUWIH meaning especial, good. Year to year this places visited by many tourst from local and foreign countries. 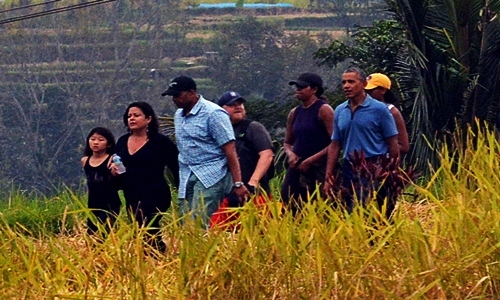 Latest 2017 Mr. Barack Obama ( ex president of America ) came to this site with his big family to see the beauty of Jatiluwih rice terrace. He walk around 1 hours to enjoy the cold atmosphere and beautiful panorama of rice terrace also he had take pictures with farmers there. How to get this spot? Jatiluwih located in the height of 700 meters above sea level. 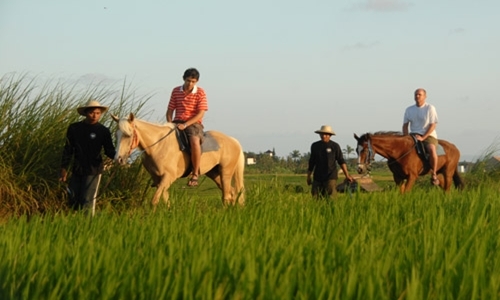 The distance from Denpasar to this site is about 48 km and it is situated in upsate of Tabanan town ( 28 km ). The road to this site has been progressively improved so you can drive motorcyle or by Car.